Most of this romantic drama centers on the relationship of Eisenheim and his childhood love, Sophie, who is being made to marry the crown prince of Austria. The special effects are beautiful and based on magic tricks that were really performed during the 20th century. ۞ The film was based on a story that appeared in a volume of short stories called The Barnum Museum (1990). This was in reference to Barnum’s American Museum, an American attraction of oddities popular in the 1840s-1860s. ۞ The tale is called Eisienheim the Illusionist by Steven Millhauser. You can read the full text here. ۞ The romantic intrigue with Jessica Biel‘s character that drives the film is completely absent from the original story. The police become interested in Eisenheim because of the disappearance of a rival magician. ۞ The film is told from the perspective of Walter Uhl (played by Paul Giamatti), a police inspector. 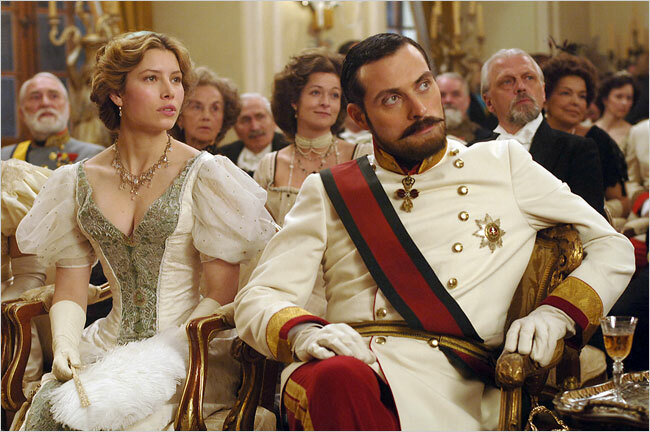 ۞ Giamatti spends most of the film flashing back over his investigation for the benefit of Prince Leopold of Austria (played by Rufus Sewel). Leopold was not a real person, but is based on Rudolf, the crown prince of Austria who died at the age of 30 in 1889. Rudolf had a mistress who died under shadowy circumstances like the Sewel character. ۞ The filmmakers wanted to capture to beauty and awe of watching a master illusionist, so many of most impressive tricks are done with computer graphics to achieve what the Eisenheim of the original story had been able to do. But, you can see a video of a real mechanical orange tree illusion here. ۞ Edward Norton did perform many of his own sleight of hand tricks, but his hands were sometimes portrayed by his double, James Freedman. I’ve created a gallery below featuring images both from the turn of the century and contemporary portrayals of Steampunk magicians and illusions. 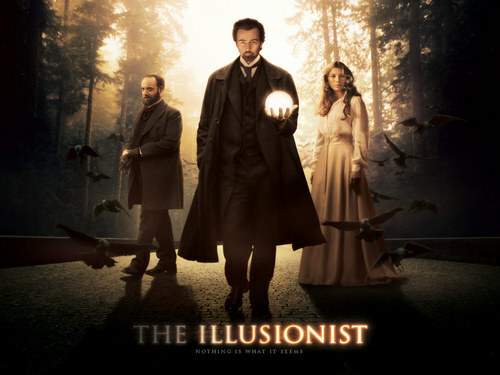 Of course, I can’t talk about The Illusionist without giving a shout out to The Prestige. I will do another sourcebook entry for The Prestige in particular, but I wanted to know from you, my readers, which movie you prefer. Weigh in below by commenting on this post and make sure to say why you picked the film you did. This entry was posted on November 19, 2013 by Phoebe Darqueling. It was filed under Books, Graphic Novels and Adaptations, Movies and Television and was tagged with Edward Norton, Eisenheim, Illusionist, James Freedman, Jessica Biel, Magic, Paul Giamatti, Steampunk, steampunk films, steampunk movies, Steven Millhauser.